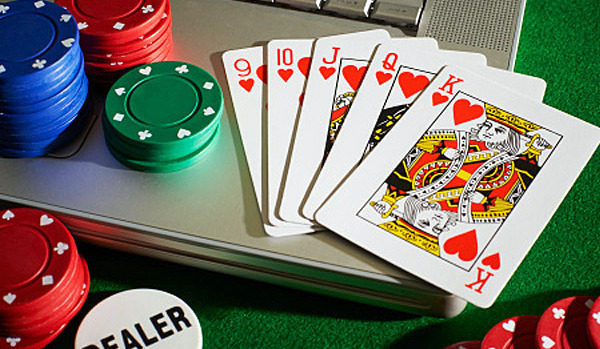 The high-stakes action on the Internet in 2015 featured some huge pots, mostly in pot-limit Omaha. Viktor “Isildur1” Blom, who won roughly $2 million this year, was involved in most of them. The Swede indicated yet again that he is willing to take on pretty much anyone on the web. Blom won the year’s top hand, a pot worth $365,000. That figure was slightly less than 2014’s largest online poker pot, which was roughly $382,000. Poker pro Phil Ivey was also a player in many of the year’s largest pots, but things didn’t go his way overall. Ivey lost roughly $3.7 million in 2015, dropping him to third place on the all-time list behind Patrik Antonius and Daniel Cates. With more than $19 million in winnings pre-Black Friday, Ivey used to be far and away the biggest winner in online poker history. Other high-stakes regulars involved in the year’s largest hands include Ben “Sauce123” Sulsky, Ben “Btech86” Tollerene and Sean “WithColor” Rafael. On Aug. 25, the biggest pot Blom has ever played on PokerStars began on a flop reading 8 7 3 . Blom held the J 9 8 8 against opponent Rafael, who held the K 8 7 7 . All the money went into the center of the virtual table. According to Card Player’s Omaha Odds Calculator, Blom wins a whopping 91 percent of the time thanks to pretty much coolering his opponent at heads-up PLO. The two elected to run it twice, and Blom’s hand held both times. He raked in the $365,895 pot. In a three-handed game with Isaac Haxton also sitting, Blom made it $1,600 on the button, and JayP-AA three-bet to $5,300. Blom called, and the flop fell J 10 6 . JayP-AA bet $7,300. Blom called. The turn was the 5 , and JayP-AA bet $18,400. Blom called again. The river brought the 5 , and JayP-AA bet $26,300 into a pot of roughly $63,000. Blom decided to raise to $142,000. JayP-AA didn’t have much more than Blom’s bet. He eventually called with aces up and took the massive pot. Blom’s attempt at turning his two pair into a bluff had failed. They elected to run it twice. The first run-out was 9 2 , giving that half of the pot to Carlooo13 and his full house. The second run-out was 3 Q , which gave Blom a diamond flush. In October, Ivey and Tollerene battled at some nosebleed PLO and there were fireworks. WRUUUUM began the action by raising to $1,700 under the gun, Tollerene three-bet to $6,000 on the button, and Ivey four-bet to $20,700. Blom folded his big blind and WRUUUUM folded. Tollerene made the call. The flop fell 3 2 2 . Ivey fired out $43,000, and Tollerene moved all in for $127,000 in total. Ivey called. According to Card Player’s Omaha odds calculator, Ivey’s hand holds up 61 percent of the time against Tollerene’s drawing hand. They elected to run it once, which is typical for Ivey. The turn was the 5 , and the river was the Q . Ivey scooped. The year’s largest no-limit hold’em hand was won by none other than Ivey. In the hand at $200-$400 no-limit hold’em in late May, Ivey had the button and was holding the 9 7 in the deep-stacked cash game. Ivey opened to $900, the small blind folded, and unknown account “OtB_RedBaron” three-bet to $3,640 from the big blind. Ivey made the call. The flop fell Q 8 6 , and Ivey’s opponent fired $2,300. Ivey, sitting with roughly $145,000, made the call. The 5 hit the turn, giving Ivey the nuts. OtB_RedBaron bet again, this time $10,300. Ivey decided to slow play his hand and just called. The river was the 10 , and Ivey’s opponent bet $27,000. Ivey shoved for just under $132,000 in total. His opponent, who had him covered, called with the Q Q for top set. It was a cooler, especially considering they were playing three-handed. This early September pot was six-bet preflop, with $38,000 from each player going into the middle before three cards hit the virtual felt. Blom held the A J J Q , while Sulsky had the K K 10 8 . The flop fell 10 9 2 . Blom bet out pot, and Sulsky put him all in for roughly $108,000 in total. Blom called, and they elected to run it twice. The first run-out was the 8 7 , giving that half to Blom with a straight, and the second run-out was the 5 5 , which was safe for Sulsky’s kings. According to Card Player’s Omaha odds calculator, Blom wins about a quarter of the time, as Sulsky had his pair beat and a significantly better drawing hand. This heads-up hand began with Blom and unknown account “Doorbread” putting $13,500 into the middle preflop. The flop fell Q 7 3 , and Doorbread checked. Blom bet $18,000, a bet which was check-raised to $81,000. Blom decided to put his opponent all-in for roughly $132,000. Doorbread called. Blom held the A 7 5 6 and was up against the Q J 3 10 . The elected to run it twice, with Blom losing the first half after bricking all of his 17 outs but winning the second after making trip sevens on the turn. Blom and Rafael were sitting deep and put just $4,000 into the pot preflop. The flop of Q 4 3 wasn’t very action-inducing, as Blom bet $5,000, and Rafael just called. However, the 3 on the turn got things going. Blom bet $18,000, Rafael raised to $38,000, and Blom called. The river was the 10 . Blom checked to his opponent. Rafael shoved for nearly pot, and Blom called with Q-Q-10-5 for a full house. Rafael’s A-6-4-3 was no good. This hand was another big one in their late August session. On a board reading 10 9 3 Q 4 , both players committed their stacks after slow playing their nut straight hands on the turn. Blom had a nut-flush draw to go along with his turned K-high straight, but it bricked. Unknown grinder JayP-AA raised on the button to $820, and Ivey and Rafeal both called. The flop fell J 5 4 . It was checked to JayP-AA, and they bet $1,500. Ivey and Rafeal called. The turn was the 2 , and Ivey checked. Rafeal fired $7,000, JayP-AA called, and Ivey check-raised to $35,200. Rafeal shoved for just over $95,000 in total. JayP-AA called all-in for roughly $74,000, and Ivey called, having both players covered. The pot stood at $271,632. Ivey and Rafeal both had the nuts, but Rafeal’s hand was far superior with the flush draw. 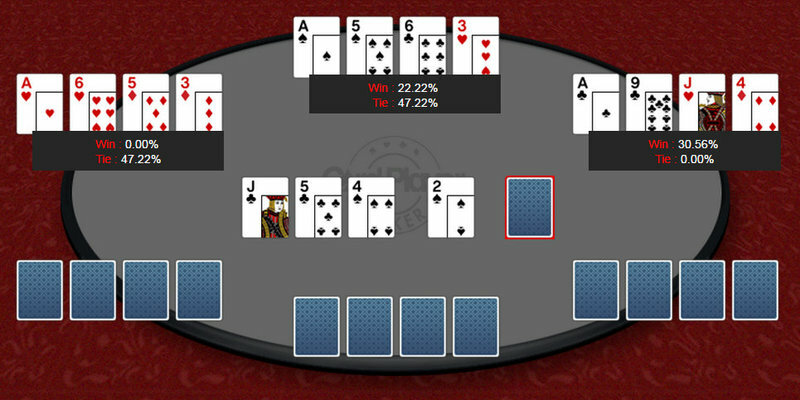 JayP-AA had just two pair, but with a flush draw to go along with it, they had decent equity. According to Card Player’s Omaha Odds Calculator, Ivey and Rafeal split the pot just over 47 percent of the time; Rafeal scoops about 22.2 percent of the time, and JayP-AA wins almost 31 percent of the time. Ivey didn’t have any outs to win the entire pot. The players elected to run it just once, and the 10 landed on the river, which was a great card for Rafeal. He raked in the massive six-figure pot. Hands and pot sizes via HighstakesDB.